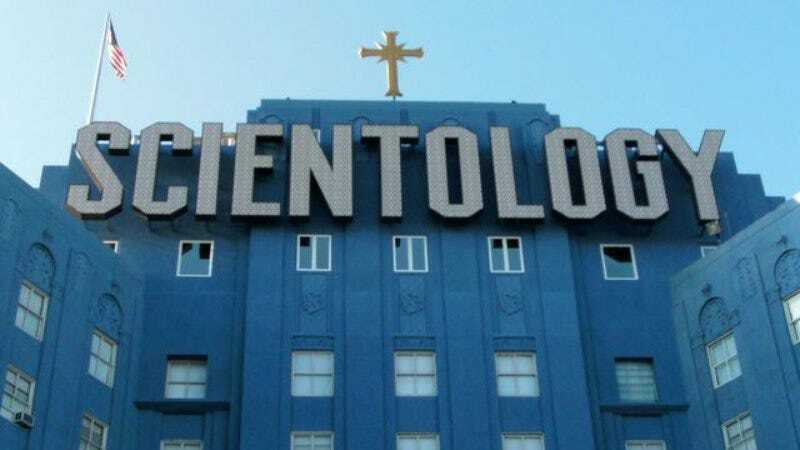 Alex Gibney’s documentary on Scientology, Going Clear, didn’t contain any information—as bananas as it might have been—that wasn’t already publicly available in any number of news reports, or the book the documentary was based on, or Janet Reitman’s Inside Scientology, or even in that one South Park episode about Scientology. In fact, there was plenty that didn’t make it into the documentary, like the disappearance of current leader David Miscavige’s wife that led in part to actress Leah Remini’s split with the Church. (The Church insists that Mrs. Miscavige is not missing, just doing important Scientology stuff at a secret compound in the California desert, by the way.) Regardless, the film’s HBO premiere last night provided an opportunity for the Church Of Scientology to issue a sinister-sounding press release attacking everyone involved in the production, and we all love those. The Church Of Scientology’s statement goes on to say that the Church has “issued the truth about these individuals” on a website we told you about back in January and won’t link here. The ever-helpful Church Of Scientology’s cooperation with Gibney’s production, it should be noted, did not include interviews with Miscavige or other top church officials. It also did not include giving the people what they really want, which is whatever dirt Scientology has on John Travolta.